Our Vibro Sifters are widely used in food & chemical industries for gradation & separation of powder, granules, and semi solids. These machines work on the principle of powder trembling and interacting. We manufacture Double-Deck Vibro Sifter and Single-Deck Vibro Sifter machines that are crafted to perfection and are in high demand in the global market. Fabricated from the best grades of raw material these are stringently checked for precision, quality and durability to make sure we deliver the most superior quality product. Our Vibro Sifters are equipped with specially designed vibratory motor which produces multi plane vibration. Built from superior quality material, makes our Machine sturdy and strong in separating mass mixtures of solids and for gradation of material as per particle size. 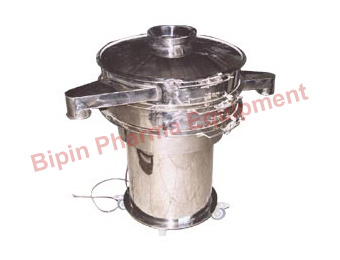 We offer a wide variety of Vibro Sifters which are immensely effective for separating coarse particles in a mixture. This sifter is neatly and perfectly designed by our experts using top quality raw material that is sourced from our reliable vendors. Offered sifter is high in demand in various food processing units, owing to its superb features. &ast; Specially designed vibrating motor comes with adjustable petals which are directly mounted on the top plate. &ast; The top plate rests on a spring pad to achieve uniform continuous vibrations. &ast; The Vibrating Energy Screen unit consists of a circular tightened screen which vibrates in the vertical plain to move the material across the screen towards the discharge spot.